Check out this story about berries and the brain. I was really struck by the term “Flavonoids” and I wanted you to know a little bit more about them. 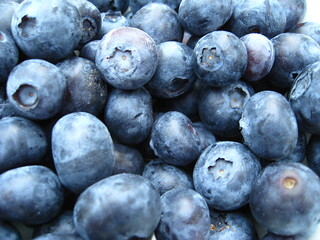 The video shows some real benefits of blue berries and strawberries. Flavonoids was a term I wasn’t exactly familiar with. Lets take a closer look at this term. Virtually all fruits, vegetables, herbs and spices contain flavonoids. They are also found in other types of food, including dry beans (where they give red beans,black beans, and speckled beans their color) and grains (where the color provided by flavonoids is usually in the yellow family). Products made from the foods above (for example, wines made from grapes) also typically contain a wide variety of flavonoids. While the flavonoid family is too complex to report all of its food connections, some highlights are especially important. In the fruit family, it is berries that come out highest in the chemical category of flavonoids called anthocyanins. Black raspberries, for example, may contain up to 100 milligrams of anthocyanins per ounce. Green tea has flavonoid components called catechins that may reach 1,000 milligrams (or 1 gram) per cup. In general the more colorful components of the food–like the skins of fruits–contain the highest concentration of flavonoids. An exception to this rule, however, is the white pulpy inside of oranges. Unlike the watery orange-colored sections of this fruit, which contain virtually all of its vitamin C, the orange’s flavonoids are found in the white pulpy portion inside the skin and surrounding the sections.